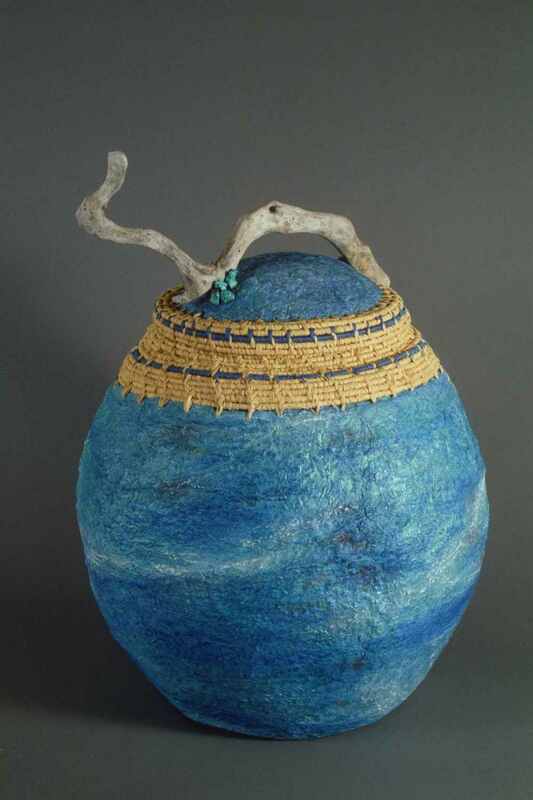 The vessel is made from abaca pulp and dyed with pigments. The surface is embellished with layers of pastels. Raffia and cane are woven onto the rim and lid of the vessel. Turquoise stones are sewn onto the lid and they are also used to tie the lid to the base. The handle is made from driftwood.